Our most versatile 3/4 tights can take you from the box to brunch and back again. 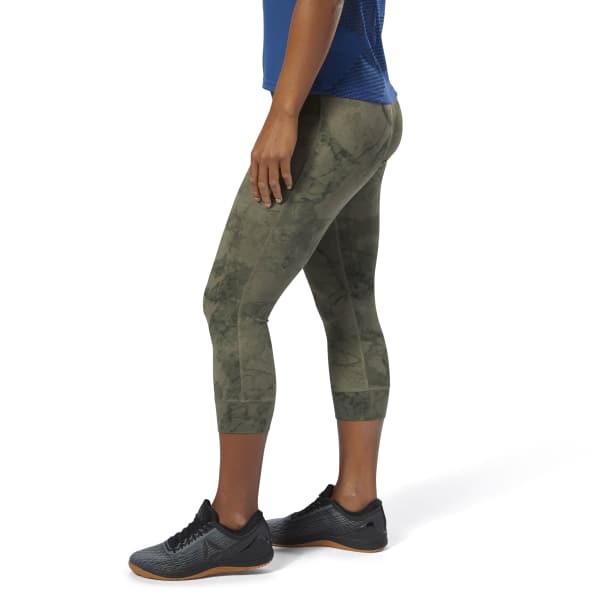 High power interlock construction gives you total coverage and confidence during squats and the fitted fit is designed to move with you through any exercise. The chafe free construction teams up with the low rise wide waistband for a smooth flattering fit so you can focus on your reps. The stone camo print is made up of atlas stones and bumper plates that were smashed and repurposed for a unique visual effect.